Price For: Each Color: Clear Application Time: 10 to 20 min. 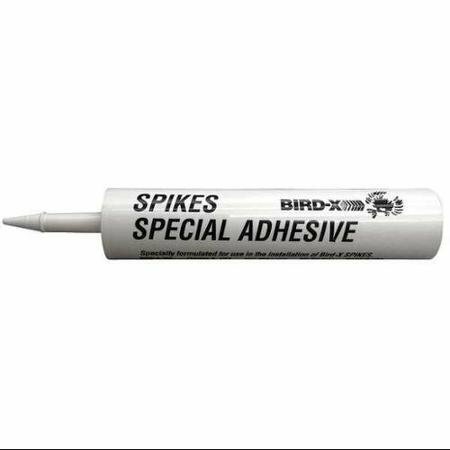 Application: To adhere spikes onto a surface Characteristics: Single component, silicone sealant Item: Adhesive Type: Bird Spikes Size: 10.1 oz. Temp. Range: -35 Degrees to 140 Degrees F Tensile Strength: 325 psi Shear Strength: 325 psi Work Life: 20 mins Functional Cure: 24 hrs Curing Time: 24 hr.